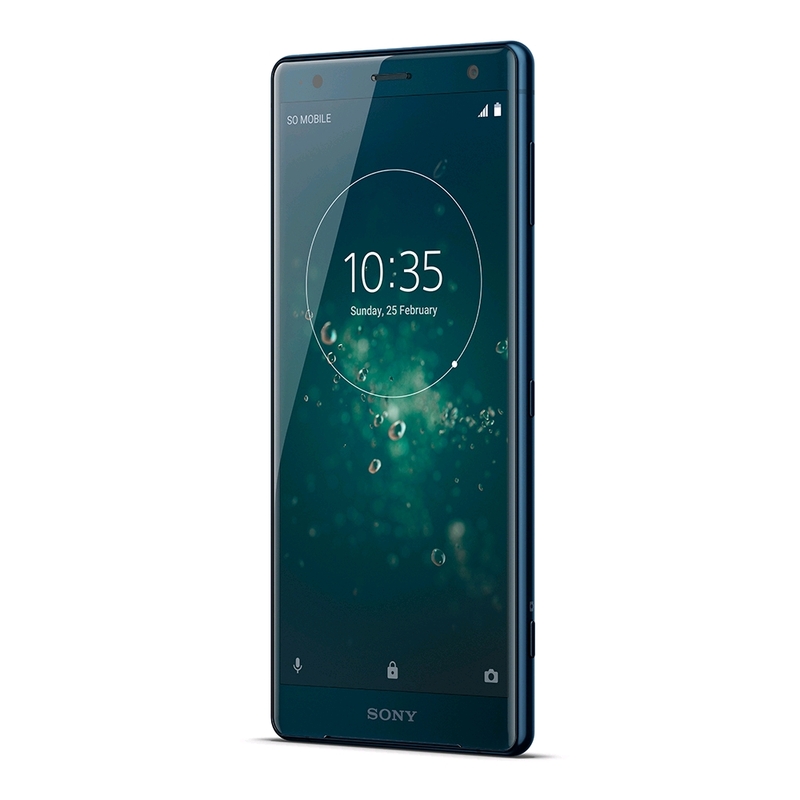 Sony Xperia XZ2 mobile phone is dual SIM compatible and features a long-lasting battery. 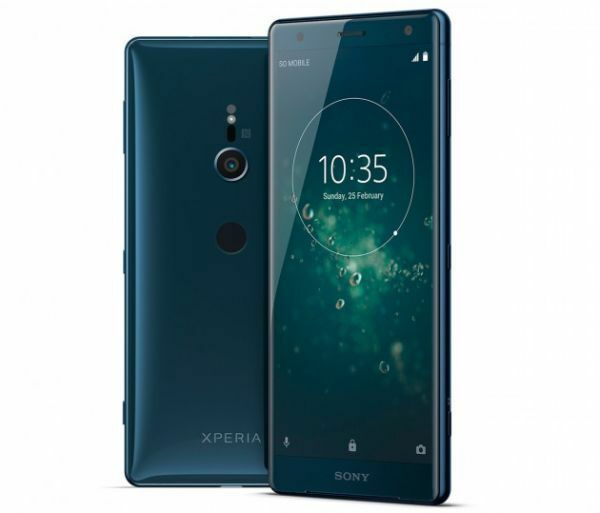 This Sony Xperia 64GB mobile phone has a durable build.Enjoy seamless connectivity on the go with the Sony Xperia XZ2 Dual SIM mobile phone. It has a high-quality aluminum make which imparts durability to it and makes it long-lasting while the dust resistant and waterproof design enables you to use it anywhere, without any fear. The dual SIM compatibility lets you use two SIMs simultaneously while the non-removable Li-Ion 3180mAh battery ensures you of long-lasting use. Furthermore, this mobile phone offers an easy to use interface, courtesy of the Android Oreo operating system, while the fingerprint sensor on the back makes the whole process of unlocking, incredibly easy and convenient. This mobile phone features a 5.7inch screen that displays every image with exceptional clarity, making it perfect for movies, videos, gaming and more. It comes with 64GB internal storage, which can be easily expandable up to 400GB with a microSDXC card. The Wi-Fi 802.11 a/b/g/n/ac offers a stable connection to the internet while the Bluetooth 5.0 connectivity allows for the quick an hassle-free transfer of data between compatible devices. This Sony Xperia XZ2 mobile phone provides a spectacular and power-packed performance, courtesy of its powerful Qualcomm MSM8998 Snapdragon 845 Octa-Core processor. The 4GB RAM allows for the simultaneous running of apps, side by side, while the 64GB internal storage space provides ample space for your applications, music, videos, and data. Take your daily dose of entertainment on the go on this Sony Xperia dual SIM mobile phone. It sports a 5.7inch IPS LCD capacitive touchscreen screen that displays every image at an incredible resolution of 1080 x 2160p, making it perfect for watching movies, TV series, and more. The powerful stereo speakers produce high-fidelity sounds, while the LDAC technology assures you of high-quality wireless audio for a wireless listening experience. Capture stunning pictures with the two powerful cameras of this Sony Xperia 64GB mobile phone. The advanced 19MP Motion Eye rear camera with f/2.0 aperture and LED flash lets you capture bright and blur-free photos, in almost any lighting condition while the 5MP front camera is perfect for capturing a moment with your loved ones. Not only this, this smartphone also allows lets you record crystal-clear 4K HDR recordings, for your convenience. Carry this Sony Xperia dual SIM mobile phone wherever you go as it is exceptionally slim and light in weight. The dual-SIM functionality saves you from the trouble of carrying two mobile phones at the same time, while the non-removable 3180mAh battery provides hours of use on one single full charge. Furthermore, this smartphone supports 4G LTE connectivity, which enables you to browse the internet, download songs and upload videos at incredibly fast speeds. This Sony Xperia 4G LTE mobile phone runs on the latest Android Oreo 8.0 operating system that brings in a lot of innovative features while providing a user-friendly interface. The high-quality aluminum make imparts durability to it for withstanding the everyday abuse, while the Corning Gorilla Glass 5 covering on the front and the back not only keeps it protected from scratches and breakages but also gives a premium handheld experience. All the more, this smartphone is also dust and water resistant, making it perfect for use anywhere.